Fishing Townsville is running a competition for the month of July to see who can catch the longest Mackerel. This is a length based competition and as such does not require the killing and weighing of a fish. There will be a small prize awarded to both the longest Spanish Mackerel AND longest Doggie Mackerel. The competition is open to forum members only and entries are to be submitted online in the appropriate thread. Fish may be caught using any legal line fishing method, and there is no line class advantage. Fish much be caught between Lucinda and Ayr and between the 1st July and 31st July 2010. 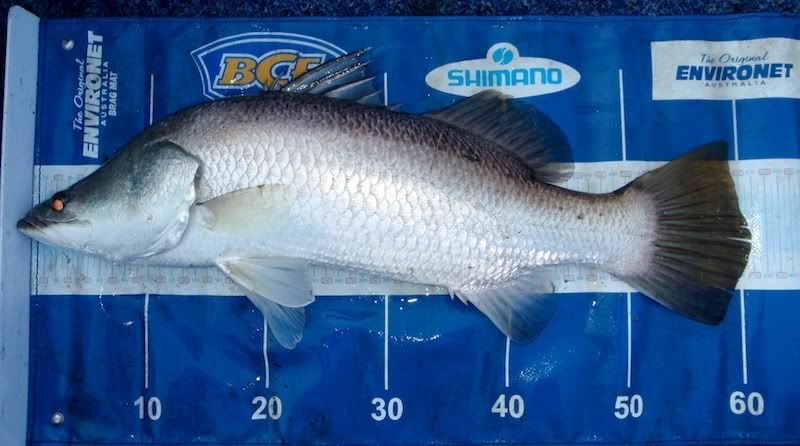 An accurate measurement must be taken and proof of capture in the form of a digital photograph showing the length of the fish must also be submitted. A photo on a brag mat like shown below is ideal. And finally, anglers must either be a member of the forum prior to the capture or be an immediate family member of an already registered user. So if you are not already a member and would like to take part in the competition then head on over an sign up. Its totally free to join, and there is heaps of good advice available. Working hard for a fish!